I love Italian pasta. Cream-based pasta, in particular the spaghetti carbonara, is one of my all-time favourite foods. I started off eating spaghetti bolognese at Jack’s Place when I was kid (wasn’t the nicest). 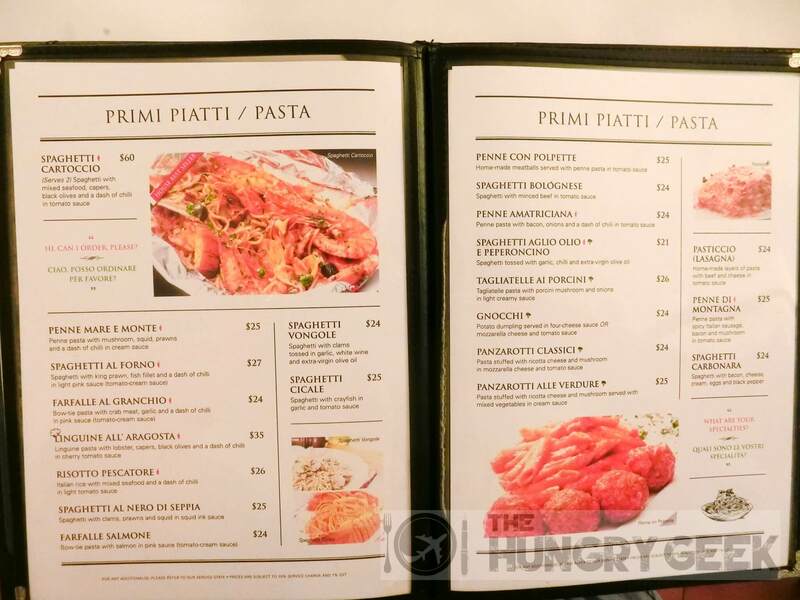 My life was changed forever during my teenage years when a nondescript bar in Siglap had a promotion offering free pasta for every drink purchased. Yes, it was free spaghetti carbonara – and I have been hooked ever since. My obsession with carbonara led to an obsession with Italian restaurants. 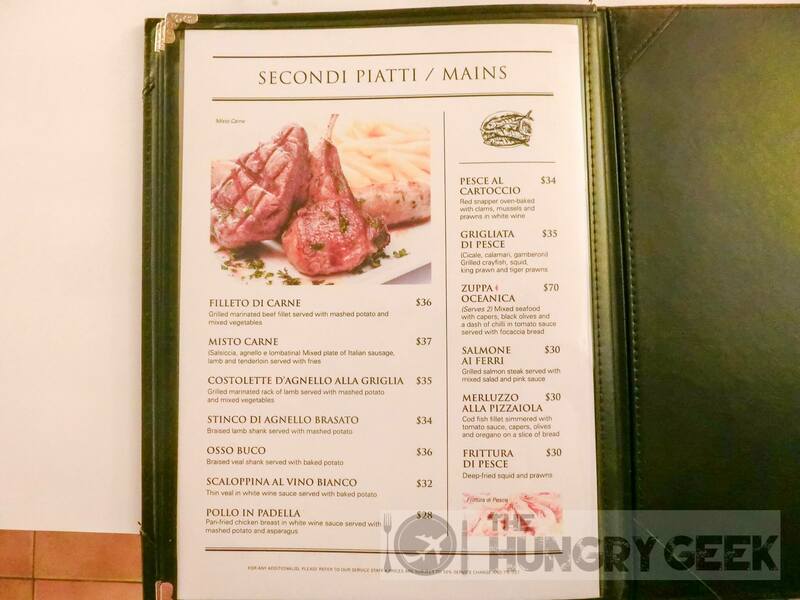 I would seek out the best Italian pasta restaurants and I would order spaghetti carbonara without fail every time, even when the dish was not in the menu (yes, it is almost always available as an off-menu item). The most delicious carbonara in the world that I had the opportunity to try was at a restaurant called Navona Notte in Rome, Italy. 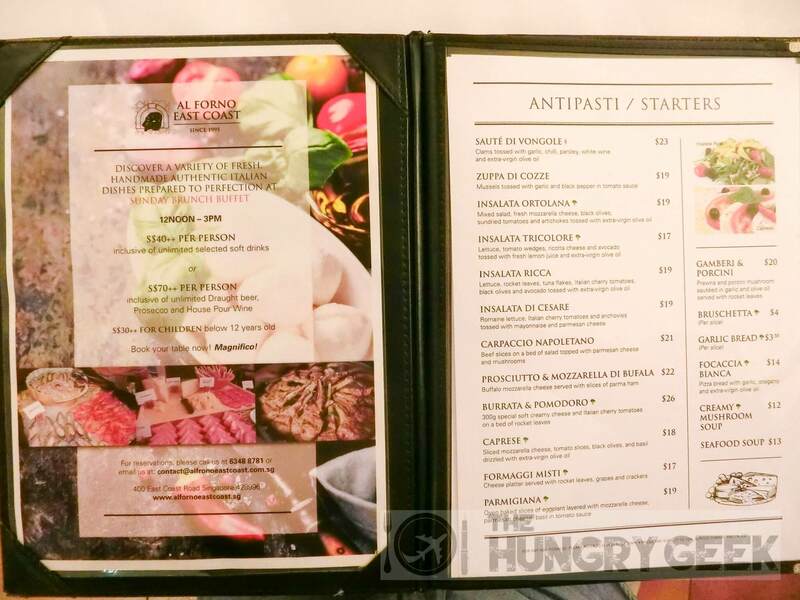 Back in Singapore, there was one year when HSBC’s Gusto Italiano Italian Gourmet programme had an exceptional selection of Italian fine-dining establishments (no they don’t pay me to write this, and their current selection is quite bad). As you can imagine, I went to virtually every one of them to try their carbonara. 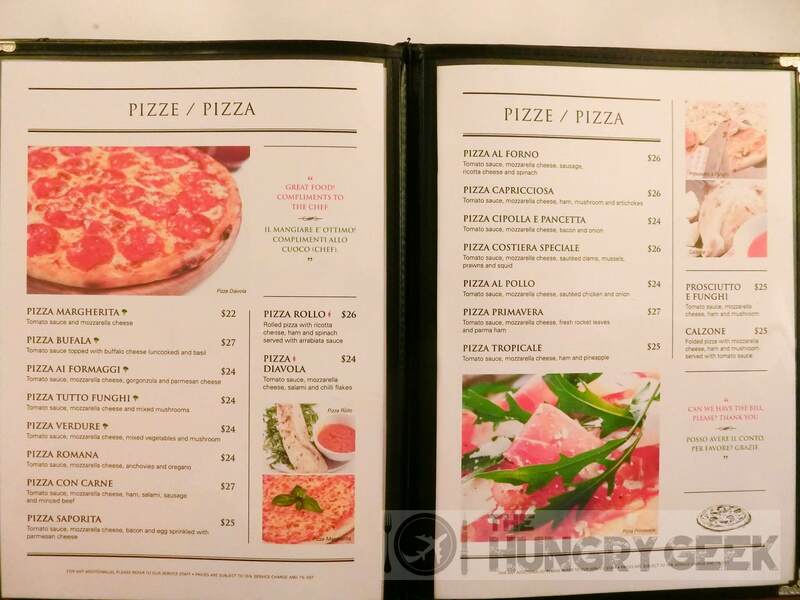 You have one guess as to which Italian restaurant came up tops. Yes, it is Al Forno Italian Restaurant. They have obtained the prestigious Ospitalità Italiana Seal of Quality that is given out to authentic Italian restaurants by the Italian government (or more accurately the local Italian Chamber of Commerce). There is a ton of requirements to get this certification, including the ingredients and the experience of the Head Chef. Oh, there are plenty of Italians working at Al Forno, and they literally make their pizza on the spot. 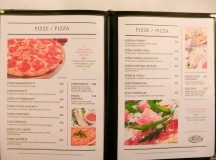 As with most fine-dining establishments, you can expect top notch service at Al Forno. They accept reservations and it would be wise to make them if you intend to drop by for dinner on a weekend. 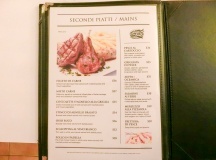 The price range of the items here is in the usual fine-dining bracket and you can expect to spend between S$30-S$50 per person excluding wines. Despite me waxing lyrical about their carbonara, Al Forno is actually more famous for their pizzas as well as their crayfish and cartoccio pastas. Inflation has taken its toll. Back in the day this item was listed at only S$20. When I was still a poor student in university, I would always muse as to why people would pay S$18 for fish and chips at a chain restaurant Fish & Co, when they could pay S$2 more for a fine-dining experience. With that juxtaposition the spaghetti carbonara suddenly became a cheap value buy, and on occasion as a student I would pop by with friends and just order that dish and nothing else. They say that if you want to test the skill of an Italian chef, order their carbonara. It looks deceptively simple to make but the devil is in the details. It is terrifically difficult to get the perfect cream balance, and that is what separates the best carbonara from the good. 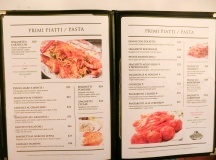 The spaghetti carbonara here at Al Forno is the best in Singapore. At least its the best that I’ve tried, and I have hunted for and tried the carbonara at a million different Italian restaurants here. So if you are a carbonara fan, you must try the one at Al Forno. The pasta is always al dente and chef knows how to make the cream balance just perfect. The al dente pasta with the super delicious cream sauce goes so well with the eggs and bacon. We rate this dish 4.6/5 and it just barely earns a place in our elite The Ultimate Taste listing. It is priced at S$24. At another reputable fine-dining Italian restaurant, the server asked whether I would like ‘more sauce’. At another one, the server would come and sprinkle a liberal amount Parmesan cheese. Those are signs of amateurs. The cream balance of the carbonara has to be perfected by the chef in the kitchen. Asking for more sauce is a bit of an insult to a respectable Italian chef as you are either asking for an imperfect cream balance, or implying that the chef’s concoction is not up to the mark. Similarly, the Parmesan cheese should be added in the kitchen as it affects the cream balance. At the very least the chef should have intended that cheese be added when served, and the server should know the optimum amount. This is almost never the case and the added Parmesan cheese usually makes the taste worse. Montagna means mountain in Italian, and this dish is basically carbonara on steroids. It comes with spicy Italian sausage, bacon and mushrooms. By default this dish is served with penne pasta and tomato sauce, so if you want to eat what you see in the picture, you have to make the necessary customisations. We ordered this with the customisations on the recommendation of the waitress. This is a delicious dish as well but it seemed that something was missing in terms of the taste when compared to the classic carbonara. The lack of eggs and black pepper probably made the difference. Nonetheless we rate this dish 4.4/5 which is still an extremely high score. This dish will set you back S$25. This is pasta with crab meat, garlic and chilli in tomato-cream sauce. We also ordered this on the waitress’s recommendation and Sheryn really enjoys eating crab meat pasta. This dish really showcases the skill of the Italian chef to adapt an Italian dish to local tastes with the addition of the chilli to boost the spiciness level. This is a solid dish with an exquisite oriental taste and coupled with the al dente pasta, this is delicious. There is a very generous serving of crab meat as well. We rate this dish 4.2/5. This item will set you back S$24. I will bet good money that Al Forno will get Michelin stars when the guide is released later in the year. The only question is whether it gets 1 or 2 stars. This is a remarkable Italian establishment set up by Italians away from home. 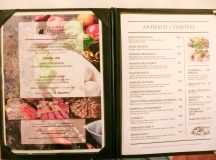 If you are into Italian food and you enjoy the fine-dining experience, Al Forno is a must try.